I have found that when I move my head backward towards my shoulders in a certain position that I become very dizzy and sometimes it is so bad the the whole world starts spinning. I wonder if anybody has experienced something similar and could help me with what to do. ive had vertigo for over 30 years, what ever you do, you must do it slowly, i had a car accident in my early 20's and had vertigo bever since, im not sure id it was related to the accident, as i wasnt hurt,getting up from bed, chair and position, even turning in bed, do it all slowly, turning head around when driving ( i find difficult) or when someone calls your name and you turn to respond,, YOU MUST LEARN TO TURN YOUR WHOLE BODY NOT JUST YOUR HEAD, some people throw up with vertigo, im just dizzy, ocassionaly nauseated, ive been taking STEMETIL, for years as perscribed and does the trick, but nite time, i need to touch walls or handrails, as balance is OFF all the time, but in darkness the worst, the quicker i can take my meds the better, i wouldnt advise driving or being in control of machinery when in the midst of vertigo, just taking everything very simple, easy, and slowly, ive found no pattern in severity, or frequence of my vertigo onsets, i may get it 3 times in 2 months or/and 3 times a year. I took 3 days antiinfamatory drugs without much relieve on the pain and obnoxious side effect. Then I did fasting and on my 3 day the pain was much less, on the 4th almost gone. Unfortunately when I resume eating after 2 days it progressively the pain came back. Vertigo is the feeling that you or your environment is moving or spinning. It differs from dizziness in that vertigo describes an illusion of movement. Cervical vertigo is a vertigo that is provoked by a particular neck posture no matter what the orientation of the head is to gravity. Perform an MRI of cervical spine and do testing of inner ear function to ensure that the peripheral or central vestibular system is intact. The majority of patients improve with only treatment of the neck problem. 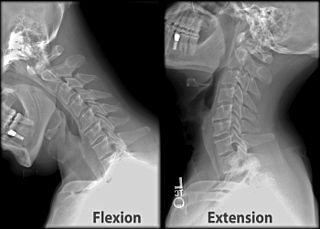 Several studies have reported that approximately 75 percent of patients improve with conservative treatment of the neck such as medication, gentle mobilization, exercise, and instruction in proper posture and use of the neck. Others improve with treatment of the neck problem in addition to vestibular therapy.